Tissot No 3074 White Dial Black Watch Product Specification B..
Model MP4-12C Movement Automatic Self-winding Japenese Movement (Mad..
Model TAG HEUER GRAND CARRERA CALIBRE 17 RS2 Movement Japanese Quart.. Product Specification Brand 5.11 Tactical Moveme.. Product Specification Brand Tag Heuer Movement .. Product Specification Brand Tag Heuer Date Y.. Product Specification Brand Rado Date Yes .. Product Specification Brand Movado Date Yes .. Product Specification Brand Casio Display An.. Product Specification Brand Amber Time Display ..
Rado Centrix Jubile Copper Crown Watch Product Specification .. Product Specification Brand Tissot 1853 Movement .. 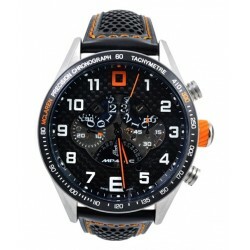 Product Specification Brand Tag Heuer Carrera Sport .. Product Specification Brand Tag Heuer Mercedes Benz SLS .. Product Specification Brand Tag Heuer V4 Movement ..